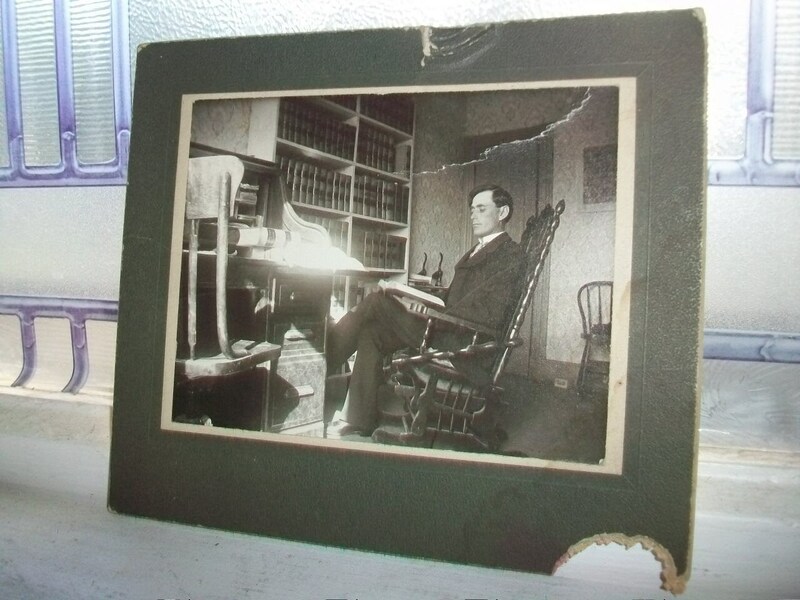 Antique 1800s cabinet card photograph of a man studying at his desk. 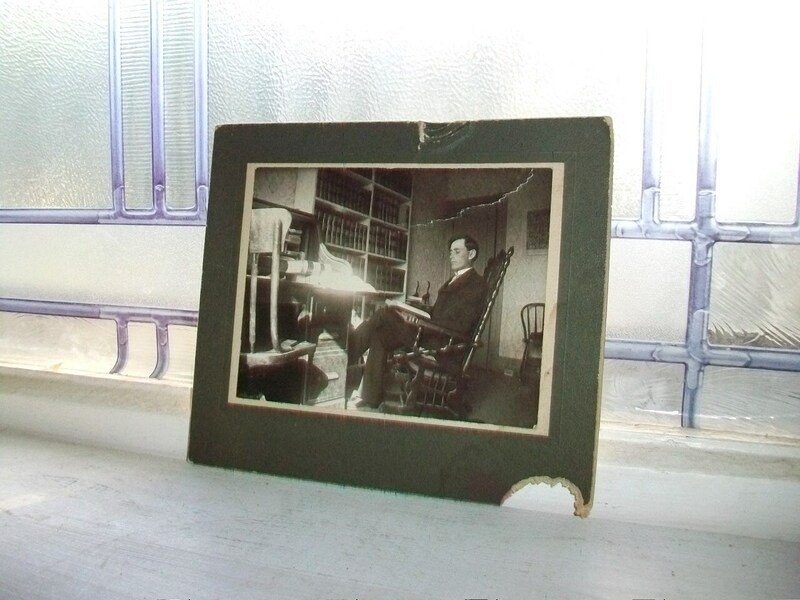 The photo measures 5 1/2" x 4 3/4" on the cardboard backing. From close inspection of the books in his office, he appears to be a lawyer. As you can see in the photos, the cardboard frame shows some damage, and the photo has a crease at the top, but it will look great in a frame. Enjoy!